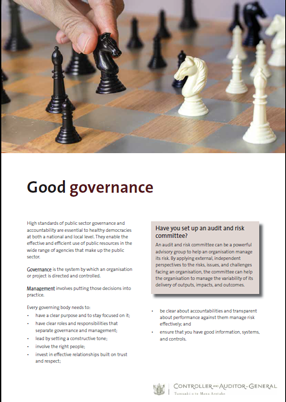 April 2016: This report reflects on common issues and challenges, and examples of good and emerging practice that public entities can use to help improve their governance and accountability arrangements. March 2016: In this report, we discuss how easily people can make their complaints and raise their concerns through various channels and what we have learned about the strengths of, and challenges facing, six particular inquiry agencies. The inquiry agencies we looked at are facing increasing challenges, including increased demand for their services, increased complexity of issues brought to them, and resource constraints. March 2014: Delta lost about $5.9 million on the Luggate investment and has projected a loss of about $2.8 million for Jacks Point. The report identifies that there was too much focus on the likely profits and not enough consideration of risks of the market slowing or an exit strategy if things went wrong. It also suggests that Delta should have got independent advice before investing. 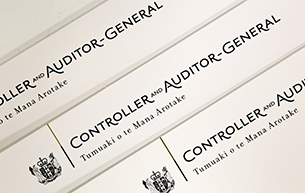 February 2014: This report focuses on the ability of Crown-owned companies’ governance systems to support “future thinking” and to realise and adjust strategies accordingly.